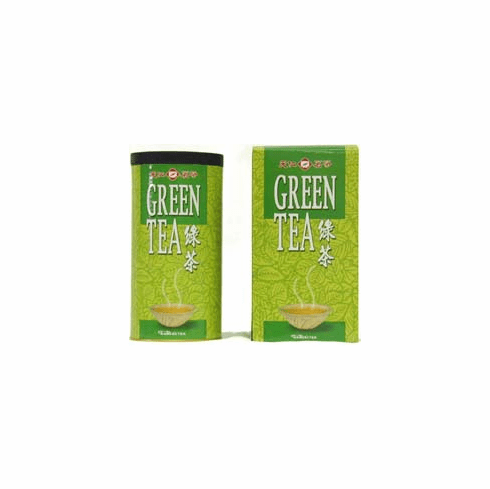 This pretty green canister contains 8 ounces (226 g) of loose green tea. Water at approximately 160�F/70�C should be used for steeping. Do not use boiling water to prevent scalding the tea leaves. Use about 1.5 teaspoons (3 grams) of tea leaves for about every 5 ounces (150 ml) of water. Steep for about 2-3 minutes or until desired concentration is obtained. These tea leaves may be infused 2 or more times. Net tea weight is 8 ounces (226.8 g) and shipping weight is 0.9 lb.